Film financing is exciting and risky, with the potential for big profits. 2. How Much Money Do I Need to Start a Hedge Fund? Independent films typically cost far less to make than studio films, but can sometimes find a widespread audience and big profits despite their modest budgets. The difference between an independent film and a studio film is that the companies who finance an indie usually do not have distribution channels. Generally, that makes independent filmmaking very risky, since there is no guarantee that your finished film will be shown on screens. But the big risk brings big rewards. Critically-approved independent films like "Slumdog Millionaire," which was made for $15 million and grossed $370 million after winning the Oscar in 2008, is one of the best examples of how big the profit margin can be. Of course, finding that next big indie film isn't easy. Find a prestigious film festival to attend. Winning an award at a prestigious festival helps an independent film secure distribution. The Sundance Film Festival in Utah, the TriBeCa Film Festival in New York, and the Cannes Film Festival in France are three of the top festivals. At a major festival you can see what films are winning and which are being bought, to learn how to pick a project with good profitability. Introduce yourself to the filmmakers. If you liked a film you can often meet the creative and producing team after the screening or at festival mixers. Building a relationship at the festival could lead to a partnership on the filmmaker's next project. Attend the American Film Market in Santa Monica, CA, which typically occurs in November. Over 400 production companies converge on AFM once a year to finance available independent films in varying stages of production. Independent filmmakers bring materials about their potential films and shop them at this market. Attending the market as a financier will get you access to many competitive independent projects that need financing. Pick a film with value. 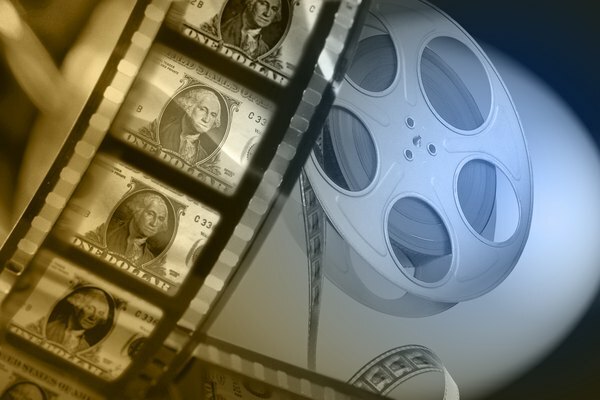 Many independent filmmakers that seek money have projects with attachments. An attachment is an agreement, often with a creative leader like the actors, director or producers, that promises involvement if the film is made. While investing in film is always risky, often the safest bets are the films that have an attachment with a person who is already successful in the business. Invest in the fund of a prestigious independent production company to mitigate your risk. Independent film companies with private equity funds are always raising money for films. If you want to invest in film without doing all the producing work or taking all the risk, then you may prefer turning your money over to a production company with a prestigious track record that can take care of making the film for you. Production companies with private funding usually have representatives at the annual American Film Market. Pre-sell your film at festivals and film markets. A lot of money for independent films comes from foreign sales. A pre-sale is a distribution agreement for a certain territory that guarantees a minimum revenue in that area. Since you have guarantees for money that your film will make, you can have these minimums loaned to you by a bank as cash to make your film. That way, all the financing -- and all the risk -- does not have to be shouldered by you alone. Take advantage of tax incentives. There are many countries with tax incentives to attract film business. Within the United States, tax incentives vary by state. A tax incentive is a percentage of your budget that you are paid back as a reward for bringing your film business to a certain area. Alaska has one of the highest incentives, at 44 percent. That means if your movie costs $10 million, you will get $4.4 million back. Your film will have all the benefits of a $10 million budget, but will only cost you $5.6 million. Loan your money to a film production that is already in progress. You can be the bank for a film and charge high interest rates for your money. Gap and bridge financing are loans that film producers sometimes require in the eight weeks prior to filming to help cover the costs of pre-production. This money is paid back upon the start of filming, often at a significant profit. This is a faster way to make money off of an independent film. If theatrical distribution is out of reach, there are also digital distribution options in the marketplace to get your film seen. Many prestigious film schools, like NYU, USC and AFI, have annual presentations of the best films of their graduating classes. These are great events to spot new, inexpensive talent. When you pick a project you really like, all the hassles and risks are often more bearable. Only trust those with a proven track record if investing in someone else's production. There are scams that raise money for so-called producers where the money just disappears, with no film ever being made. NY Times: No Film Distributor? Then D.I.Y. Are Luncheon Business Meetings Tax-Deductible? Can I Claim Movie Tickets as a Business Expense? What Is Gross Spread Ratio? What Is the Gray Market for Stocks?